As a long time Sprint user, I had been deciding on a new phone to upgrade to. I’ve had the Motorola Q for over a year and although it might have been a decent device at the time, both the hardware and the Windows Mobile OS are truly outdated. After a long debate between the Palm Pre and the HTC Hero, I decided to go with the Android powered device. The future of Windows Mobile looks shady and there’s a reason why. After just a minute of use, I was in awe about the ease, speed, and power of the Android OS. 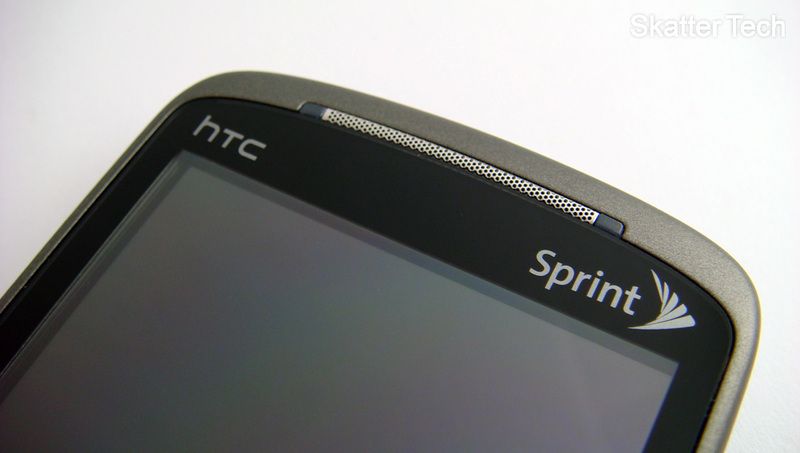 With HTC’s excellent hardware and Sprint’s network with affordable data plans, the HTC Hero has been amazing. There’s a lot this phone offers to help organize and centralize all the data in your life. 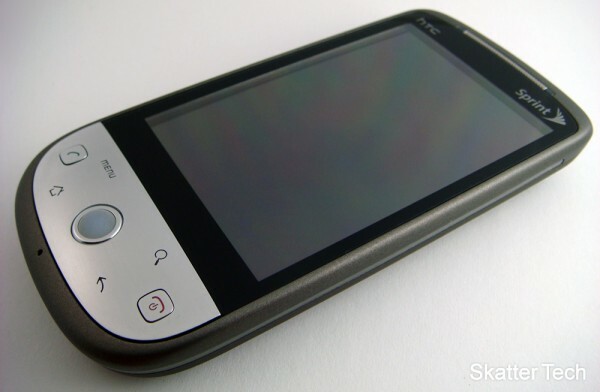 Although the HTC Hero shares similar elements of style from it’s European predecessor, this model has a new and revised body. The distinctive bottom lip (Jay Leno chin?) that characterized the original Hero has been replaced with a more traditional rounded edge. I never spent much time handling the chin-ed version, but I’m satisfied with the comfort the new HTC Hero offers. There’s a large illuminated trackball centered below the display. A send and end button are on the far left and right of the bottom portion, respectively. A Menu and Home key are on the left of the trackball while the search and back key are on the right. 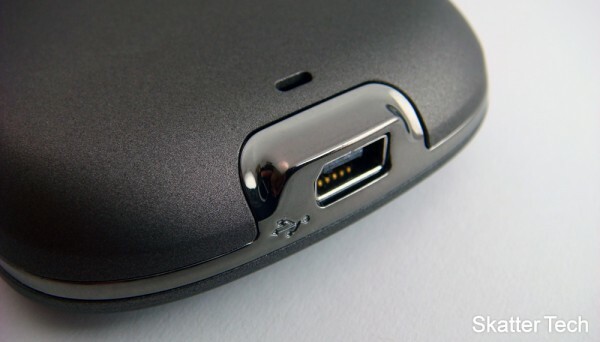 The mini USB port is on the bottom, the camera is centered on the top portion of the back side, and the headphone jack is on the top of the phone. The trackball was quite responsive and the inclusion of physical keys for answer and ending calls suited my taste. The phone isn’t the most fancy device on the market by any means, but it’s smoke gray coat with gun-metal accents look elegant. 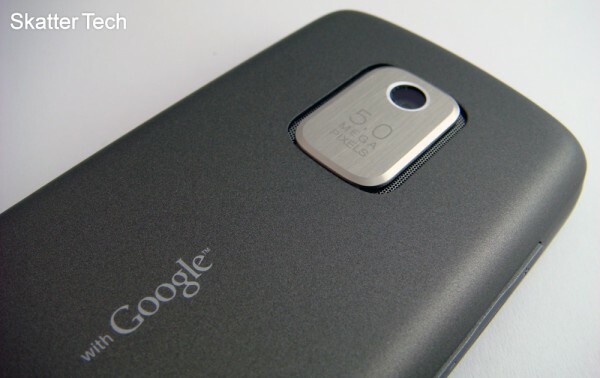 The phone’s also has a great grip to it and feels durable enough to survive a few small drops. 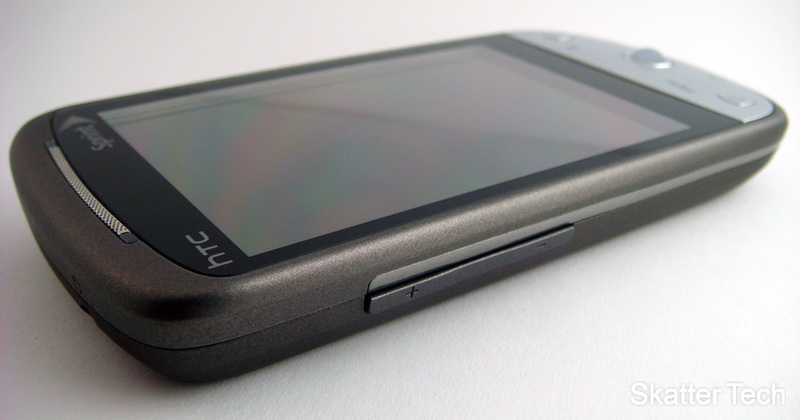 The HTC Hero features a 3.2 inch 320×480 HVGA display. I should note that this is one of the few Android devices that supports multi-touch gestures. Even the Motorola Droid on Verizon lacks it. The screen is pretty bright and sharp. It isn’t extraordinary, but meets the standard of other smartphone displays. The default touch sensitivity was just right and was quite responsive. Since the phone doesn’t have a physical keyboard, the on-screen keyboard is the only option. It takes a bit of getting used to especially if you are moving over from a device that had a physical QWERTY keyboard. Even with a bit of practice, it’s still isn’t as easy to use as the virtual keyboard on an iPhone. The screen is a bit smaller and slower to respond. Photos and Videos either captured by the phone or transferred over all looked great on the display. After using the phone for about a week or so, I have become quite disappointed with the battery life. A full charge should be able to last at least a full day. And of course, bearing in mind that you only run a fair amount of applications at a time. I found myself having to cut back down on checking emails, refreshing Facebook, and browsing Twitter just to save enough charge. Although HTC claims 5 hours of talk time and 360 hours of standby, I can testify that it didn’t last nearly as long. I did however see standby time improve after disabling the GPS, Wi-Fi, and Bluetooth, however features such as those are what make this phone a good phone. I feel as though improvements could be made as easily as by releasing a software upgrade to manage power usage better. The user interface is a distinguishable factor of the phone. Dubbed “HTC Sense”, the interface is composed of seven customizable panels. These provide a wrap around panoramic view of everything going on. The panels are fully customizable offering you the power to select which widgets or application shortcuts appear. I found that the preloaded layout to be quite adequate for the average user, but it’s fun and useful to spend a few minutes and pick the things that fit your needs and taste. I wish more freedom was offered to rearrange items on the home screen. Overall, the interface looks quite wonderful, colorful, and exciting. Plus the widgets offer plenty of information on those panels without even having to open applications. The HTC Hero runs on v1.5 of the Android OS, but rumor states that an upgrade to the v2.0 OS will be possible in the near future. The preloaded messaging app has a solid set of features. For SMS, it displays history of conversations between you and your contacts. Following a threaded message is more convenient than a mess most phones call an inbox. The default options such as quick text and attaching files are available. Unlike the the iPhone prior to the 3.0 OS, the Android supports copy and paste. Multimedia messaging worked seamlessly with Sprint’s network. Although the casual texter should be satisfied with the default app and a quick search on the Android Market will uncover more powerful messaging tools for the power users. Email on the Hero was quite remarkable. The setup process was easy and I didn’t have any configuration issues with any of the accounts I added in. The Mail App even provides the ability to consolidate multiple email accounts into a single view. Emails can also be tagged or labeled for organization. The Android 2.0 OS takes it a step further with more features, but even the current version offers just about all the features anyone would want on a mobile device. 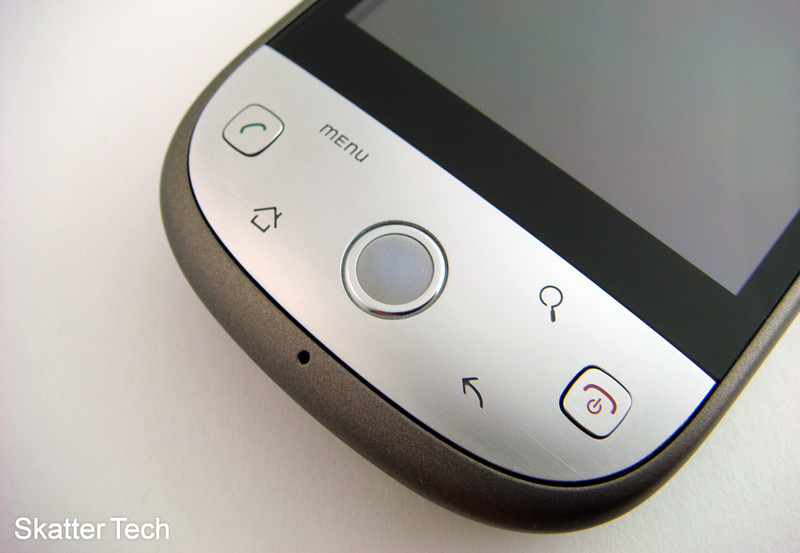 The HTC Hero offers a powerful 5.0 megapixel camera with auto-focus. Unfortunately, a flash is missing and would have been a welcome addition. Photos can be shot in either landscape or portrait mode. Images max out at resolution of 2560×1920 pixels. There are a number of other features found in the setting including self-timer and timestamps. Photos in your library can also be easily uploaded to web services including Facebook, Twitter, and Flickr. The camcorder functions almost as well. It wasn’t remarkable, but decent for a phone. Recorded videos can also be uploaded to YouTube or shortened clips can be sent out through a MMS. The Hero comes preloaded with an easy to use and functional music app. A widget displays the album cover and offers a few basic controls. Tapping on it will launch the full application. There’s a cover flow view similar to what iPods offer. There’s also a list view which allows browsing by Artists, Albums, and Genres. The phone even has a built in tool to create custom ring tones with your own music, take that iPhone! Sound quality through the speaker was decent. The quality with standard headphones plugged into a 3.5mm headphone jack is a lot better. No cumbersome headphone adapters required! And since Android can handle multitasking, you can do just about anything else you want while listening to music. This is especially handy with Pandora. Once again, iPhone can’t do that either. The Hero utilizes Amazon MP3 as it’s primary music store just as the iPhone does with iTunes. The Android Market offers over 10,000 applications. That may sound like a lot, but that’s still a 10% of the 100,000 found in Apple’s App Store. Despite that, the quality of the applications I found were quite impressive. The interface allowed an easy way to browse, find, or search for programs. The reviews and ratings also help making decisions towards purchasing paid ones. Installation is as easy as tapping a button. The Android Market continues to grow and I’m fairly confident that with more Android-based phones hitting the market, there will be even more quality applications coming along. The web browser is fairly powerful and is close to what the Palm Pre and Apple iPhone offer. It utilizes the same pinch gesture to zoom in and out of web pages. There’s a tabbed interface to browse through different pages. Although it jerks at times, it isn’t too much of an issue. If you have decent amount of signal, pages load fairly quickly on Sprint’s 3G network. Plus with WiFi built in, everything becomes a whole lot faster. I was happy with the GPS performance on the Hero and the ability to use two very powerful navigation tools is a huge advantage over some other phones. Other features like the Sprint TV and Navigation package is a very nice benefit for being with Sprint. With Sprint’s Everything Data plans you have unlimited access to both. The HTC Hero is a powerful smartphone and has a lot to offer. The hardware is excellent and the Android software is truly flexible. If you are currently in the market for a new phone, I would highly recommend taking a look at the Hero. I would definitely rank the Hero as one of Sprint’s best phones along with the Palm Pre. I wouldn’t suggest it for customers that aren’t tech-savvy, want a cheap plan, or don’t need business features. The packaging includes an AC adapter, a USB cable, a 2GB micro SD card, and documentation. If you are ready to grab one, it’s priced at $179.99 with a new 2-yr contract. The Sprint Hero comes with Android 1.5, not 1.6. Just sayin’ :-) Great review though! I’ll have Jordan confirm that and make the appropriate changes. Yep, thanks for catching that! Glad you liked the review! Application must still be downloaded to the phone’s internal memory. Media syncing software would nice, as would be a file manager. I got all excited when I thought this was the update to Android 2.0! I do have one major concern. I am switichin gover from Windows Mobile. I am a big Microsoft supporter but I just couldn’t deal with Windows Mobile anymore. I did like however how I could sync my contacts and Live Mail account with my phone effortlessly. Is there any app available or in the works to support Microsft Live Mail and contact sync? I do not really use my Gmail account. And I have read about the forwarding option.. But I’d really just like to be able to put my preferred E-mail account on this lovely phone. Come hang out at http://www.HTC-Hero.com and thanks for reading. love the phone but it’s kind of clunky. thicker i should say, used to have small bb and this is definately bigger. love the camera and love the applications. got 2 off of gsmallover.com and one from somewhere else can’t remember right now but im definately happy. 8 out of 10 stars.